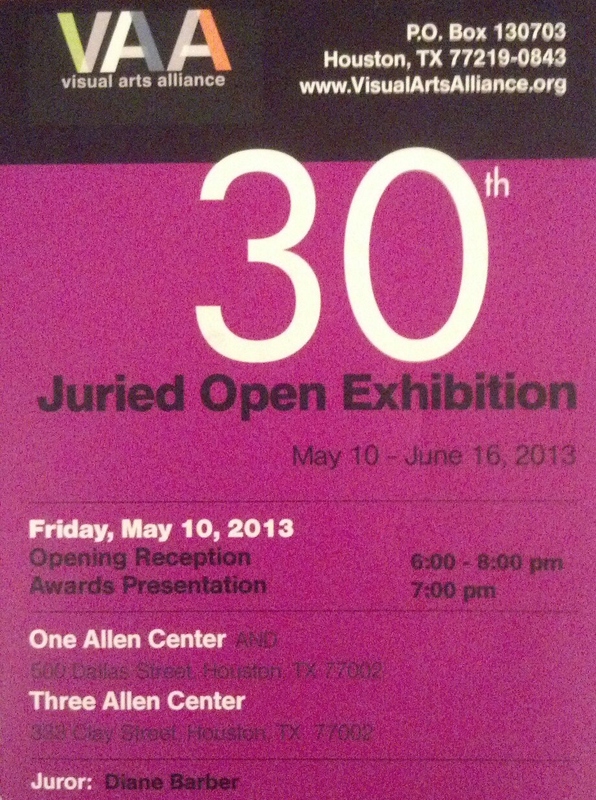 I will have one of my paintings in the Visual Arts Alliance Juried Open Exhibition next Friday, May 10th 6 – 8 pm. I’d love for you to come. Location: One Allen Center, 500 Dallas Street, Houston, Tx. 77002. and Three Allen Center, 333 Clay Street, Houston, Tx. 77002. Two humming birds trapped in a puzzling surrounding composed of coral, vines, and jewels.